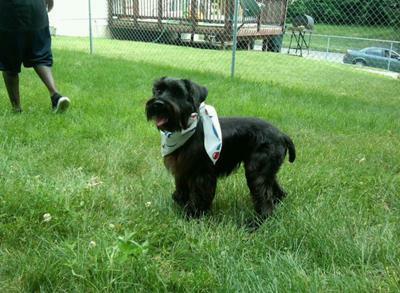 Hello I own a black mini schnauzer. He is almost 2 I have noticed over the last few months his coat is turning a silver/platinum color. I was just wondering if this is normal or not and if he eventually will turn all white? Comments for Black mini schnauzer turning white? A dog which is clipped like my boy will loose his rich black color sooner than a show dog which is plucked, which apparently retains more color.